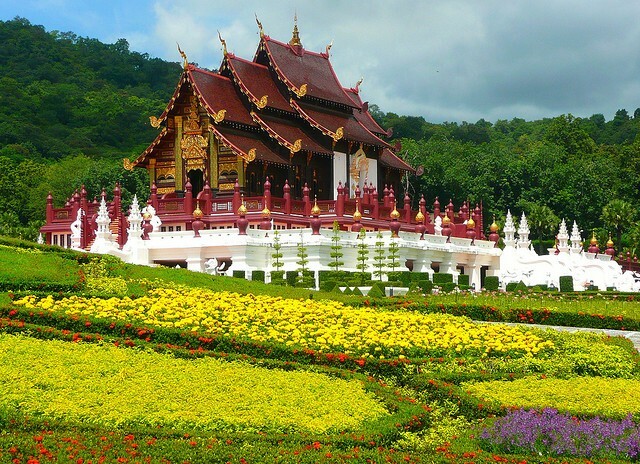 In Thailand, there are two primary city destinations, one of which is Bangkok and the other is the culturally diverse and significant city that is Chiang Mai. Although the former is the country’s identifying city, the latter, through the years, has grown to become equally as renowned among travelers. Chiang Mai stands for “New City”, which the destination culturally is, if one is to think of its place in the country’s history. It is the new city capital that was adopted centuries ago for the Kingdom of Lanna. Today, it is a developing city center that has been able to adopt modern practices without compromising olden cultures, traditions, and infrastructures. Chiang Mai is currently applying to gain the recognition of UNESCO as a creative city. What differentiates Chiang Mai from Bangkok is that the former presents Thailand in its cultural entirety. What is seen here reflects what the country and its people are all about. Surrounded by the Ping River and foothills of the glorious mountainside of Northern Thailand, hundreds of temples and other places of worship can be found here. There is also an old moated town that will give visitors an insider’s look into what the city once was. Apart from the historical elements and destinations, Chiang Mai is a city that is also reflective of new world influences including a youthful burst of energy that can be experienced in the ever popular nightlife district of Th Nimmanhaemin. If time spent temple-hopping, moat city exploring, and going from one bar to the next is not enough, visitors can also enjoy the food scene in Chiang Mai, which is not only home to local delicacies and famed Burmese dishes but also offers tastes from different parts of the world. There are plenty of sites to see and things to experience in Chiang Mai, making it an ultimate destination in Asia to consider. 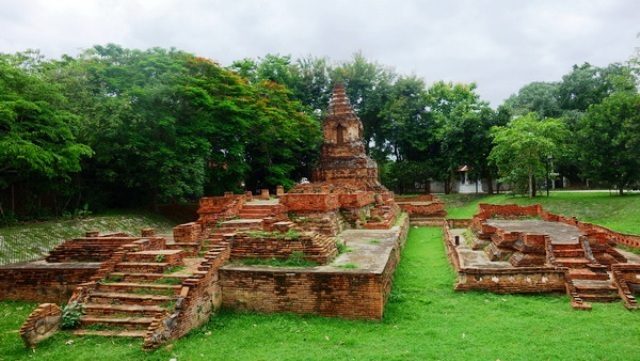 History states that in the year 1288, King Mengrai relocated the capital of the Lan Na Kingdom to the old city of Wiang Kum Kam. From the former capital Chiang Rai, the capital was moved to the old city on the banks of the Ping River. Although proven to be a good strategic location with many advantages in terms of the city’s defense and trade, the area was low-lying and was extremely prone to flooding, forcing the king to look for a better location for his capital. Imagine having a hearty lunch underneath a romantic pavilion in Indonesia and then walking your way at a leisurely pace to Bhutan by the afternoon, taking in the sights and sounds and society all around as you go. A lovely image? It’s one made possible by the Royal Flora Grounds, where entrance will get you the feeling of being transported into a botanical wonderland. 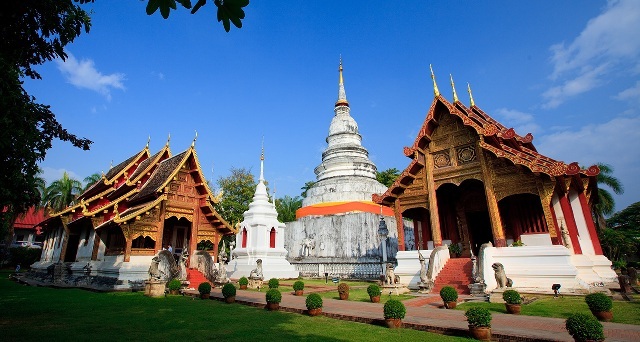 Wat Phra Singh has always been an important Buddhist monastery located on the west side of the city of Chiang Mai. Since its founding during the 14th Century, it has always been a major monastery and an important temple that houses 700 friendly monks who often approach visitors to practice proper English. It now houses two medieval Buddha statues that continue to lure in pilgrims and tourists for a serene environment and a place for meditation. 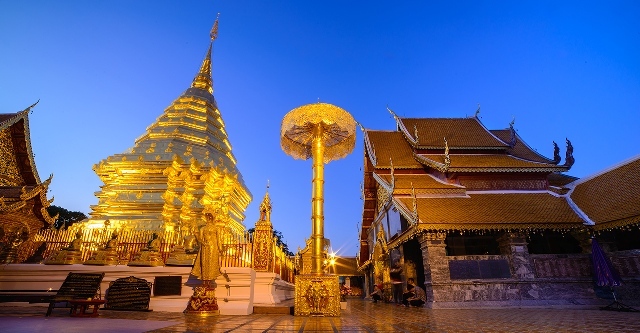 Said to be the holiest shrine in the Northern Thailand region, the Wat Phrathat Doi Suthep was founded back in 1936 in the most miraculous circumstances. 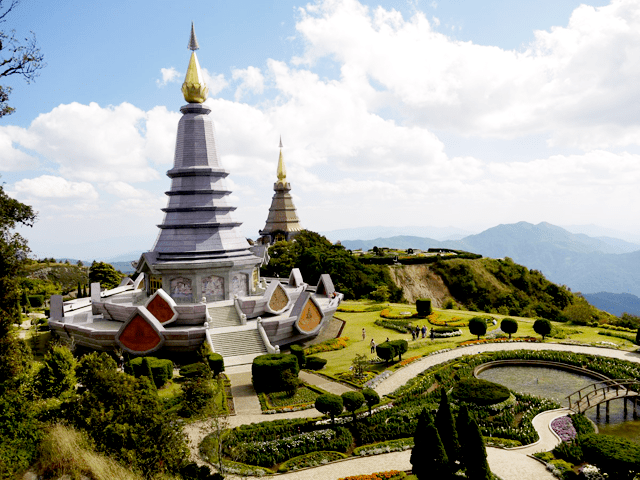 Nowadays, it is seen standing grandly atop the Doi Suthep Mountain in the western outskirts of the city of Chiang Mai. Its origins are no less majestic, as the tale would have it. 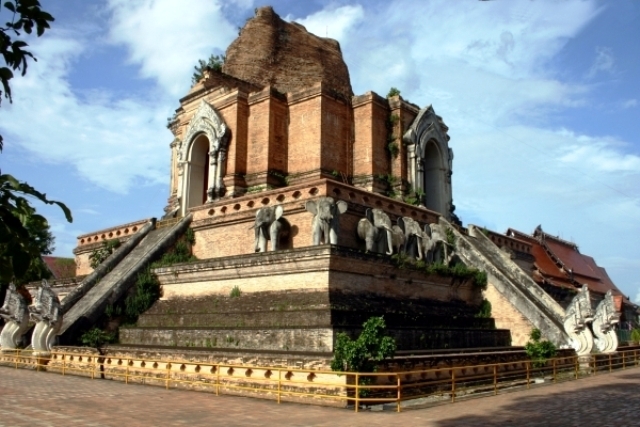 The Wat Chedi Luang or the Temple of the Big Stupa is a majestic ruined temple found in the center of Chiang Mai dating back to the 14th and 15th Centuries. Construction on the temple began in 1391 by instruction of King Saen Muang Ma primarily to hold the ashes of his late father, Ku Na. The building was expanded through the years by later kings until it finally achieved its final form in 1475. In time, it was given a great honor by housing the Emerald Buddha, which is the holiest religious object of all of Thailand. At this time, the temple had a height of 84 meters or 280 feet. Unfortunately for the temple, however, the Emerald Buddha was moved to a new home at the Wat Phra Kaew in Bangkok. At a height of 2565 meters above sea level, the Doi Inthanon is the highest peak in Thailand. This high an altitude ensures that temperatures at the peak are refreshingly cool all year round and tip just below freezing point during the cool season of the region. Situated at the peak is the Doi Inthanon National Park that consists of rugged mountainous terrain and a lush tropical forest dotted with mighty rivers and a scenic waterfall. There can be no doubt that this park is a true jewel of the beauty of nature.